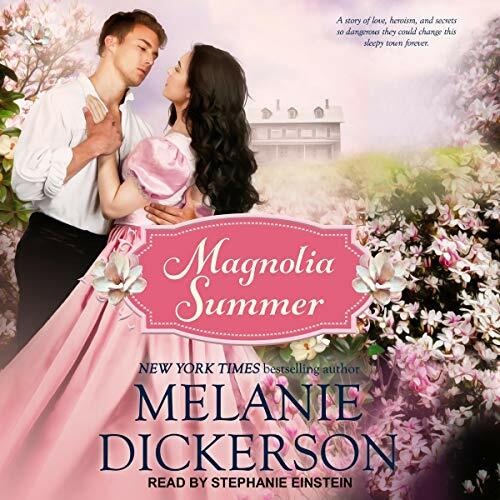 From New York Times best-selling author Melanie Dickerson comes a story of romance, heroism, and secret identity. Will this Deep South Zorro succeed in saving his sleepy Southern town? Truett Beverly returned to Bethel Springs, Alabama, after finishing medical school. Fighting a secret war with a corrupt lawman wasn't in his plans, but when Sheriff Suggs threatens his childhood friend, Truett dons a cape and hood and becomes the Hooded Horseman, placing him squarely in the sheriff's crosshairs. Celia Wilcox arrives in Bethel Springs in June of 1880. She's come from Nashville to help her sister care for their younger siblings. She hopes only to be on the small farm for the summer, just until her mother recovers from the shock of Celia's father's death. She must return to Nashville in order to fulfill her dream of opening her own dress shop. Celia catches Truett's eye from the moment she steps off the train. He finds himself wanting to impress her, but she flatly refuses to flirt with him or to fall for his - if he does say so himself - considerable charm. Truth is, Celia's attraction to Dr. Truett Beverly terrifies her. What will happen when Sheriff Suggs discovers Truett is the Hooded Horseman? Will Celia's greatest fears come true? Or will she be able to prevent the sheriff from carrying out one last lynching?